How do you catch a killer who changes all the rules? That's Reilly Steel's mantra. Find the answers, solve the crime. But the Quantico-trained forensic investigator is finding her skills aren't enough when a ferociously intelligent killer strikes Dublin. Their corpses refuse to give up their secrets and the crime scenes prove a forensic investigator's worst nightmare. Reilly soon suspects that she may be dealing with a killer - or killers - who know all about crime scene investigation. The police are just as frustrated by the crimes' impenetrable nature and it's only when a third murder occurs - equally graphic and elaborate in its execution - that they discover that this particular killer is using a very specific blueprint for his crimes. Who is the killer's next victim, the real target? And what's his endgame? 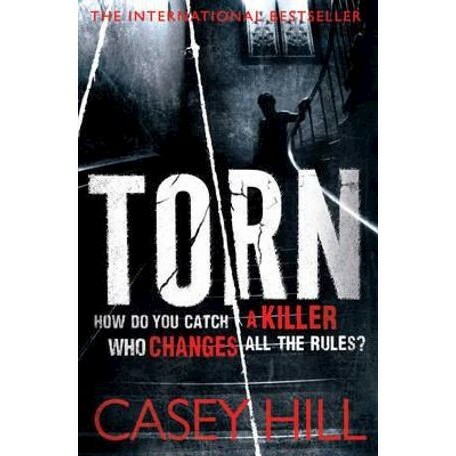 Casey Hill is the pseudonym of husband and wife Melissa and Kevin Hill. Melissa is already a number 1 bestseller in her native Ireland with her novels about contemporary women's lives. A desire to delve into darker aspects of fiction led her to team up with Kevin and create the Reilly Steel series. The couple live in Dublin with their baby daughter, Carrie.